“Caution can help us avoid mistakes, but it can also keep us from great accomplishments." 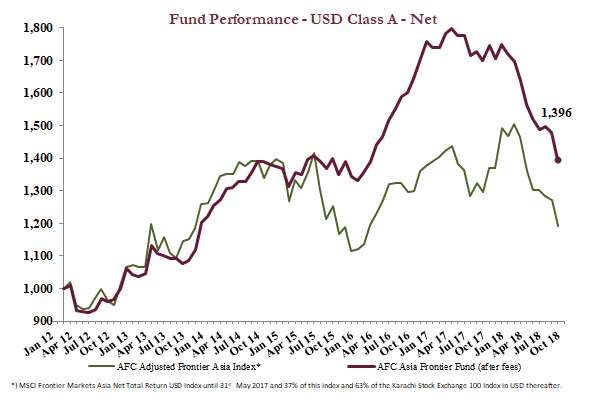 The return is based on the performance of the AFC Asia Frontier Fund USD A prior to 1st December 2017 and the net return of the AFC Asia Frontier Fund (LUX) USD A after its launch on 1st December 2017. Global markets went through risk-off mode this month as all major indices faced a heavy correction due to fears of overvaluation in developed markets (Nasdaq trading at 40.9x P/E) and a possible global economic slowdown brought about by continued trade war worries. We have seen such global sell-offs in the past as well, most recently in 2011 and 2013, and the recent correction over the past few months has only led to more attractive valuations. This is certainly the case for our investment universe at this point in time where there are now a number of quality and well managed companies available at very attractive valuations. Given the current volatility and uncertainty across markets, this is most likely the time to take the long-term view and be invested with a three to five-year time horizon, as the trends in the Asia Frontier universe such as a growing middle class, greater urbanisation, further manufacturing-led development, and improving infrastructure are structural changes and therefore here to stay. 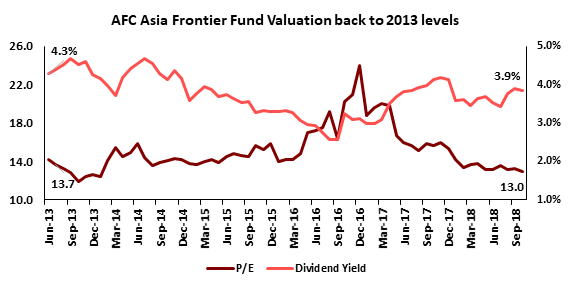 Our AFC Asia Frontier Fund (AAFF) now trades at an attractive trailing twelve months P/E of 13.0x and dividend yield of 3.9%, which positions the fund very well for a recovery in market sentiment. The AFC Vietnam Fund also trades at very attractive valuations with a trailing twelve months P/E of 9.3x and dividend yield of 7.5%. 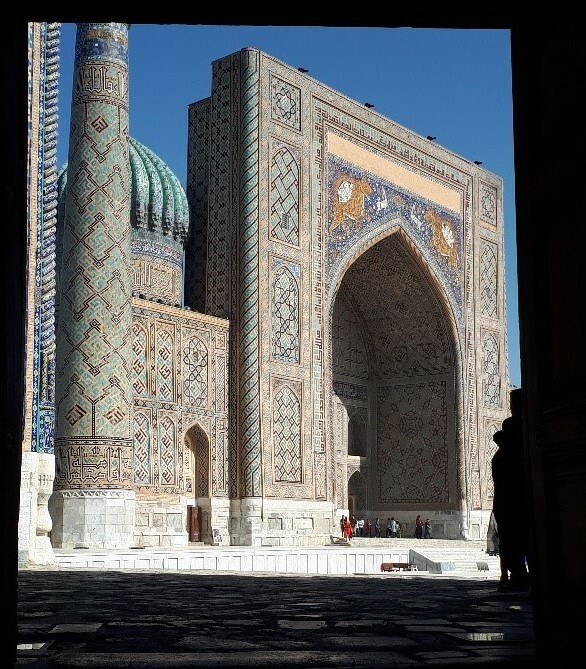 At the end of this month’s newsletter we include a travel report on Uzbekistan, which is the latest addition to our country universe as the country is going through a wave of reforms and opening to the outside world. Our AFC Iraq Fund CIO Ahmed Tabaqchali will be speaking at the IBBC Autumn Conference on Sunday 25th November at the Dubai Marina. The conference is titled: 'Rebuilding & Reconstruction - Iraq - Delivering the Vision'. He will also be speaking at “IRAQ: A Leap Forward”. This conference will be held on 5th and 6th December 2018 at the Babylon Warwick Hotel in Baghdad, and is organized in cooperation with several Iraqi ministries. The AFC Asia Frontier Fund (AAFF) USD A-shares declined −5.5% in October 2018. The fund outperformed the MSCI Frontier Markets Asia Net Total Return USD Index (−7.9%), the AFC Frontier Asia Adjusted Index (−6.4%) and the MSCI World Net Total Return USD Index (−7.3%) but underperformed the MSCI Frontier Markets Net Total Return USD Index (−3.5%). 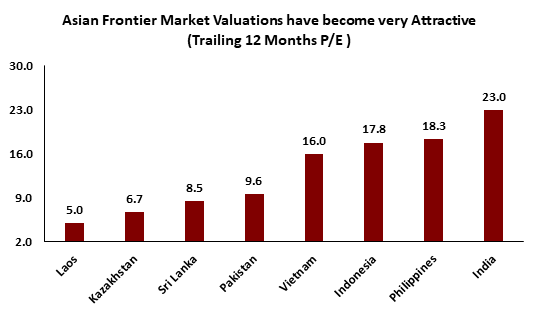 The performance of the AFC Asia Frontier Fund A-shares since inception on 31st March 2012 now stands at +39.6% versus the AFC Frontier Asia Adjusted Index, which is up +19.0% during the same time period. The fund’s annualized performance since inception is +5.2% p.a., while its YTD performance stands at −18.2%. The broad diversification of the fund’s portfolio has resulted in lower risk with an annualised volatility of 9.30%, a Sharpe ratio of 0.51 and a correlation of the fund versus the MSCI World Net Total Return USD Index of 0.37, all based on monthly observations since inception. Global markets were in severe risk off mode in October as all major indices faced a heavy correction led by fears of overvaluation in developed markets and a global economic slowdown brought about due to protracted trade tensions. In recent years, we have seen similar global sell-offs such as in 2011 and 2013 and the current period of market corrections has only led to more attractive valuations in frontier and emerging markets. This makes it a good time to invest in well-established and quality names with a 3-5 year investment horizon as the consumption-led growth as well as improvements in infrastructure within our investment universe are here to stay for the long run and an on-the-ground visit to any of our markets will give the same picture, which is much different from the noise in the financial media. Vietnam faced a heavy correction led by large cap stocks in the banking and real estate sectors as fears over slower loan growth raised concerns about the future earnings outlook for these companies. Most banks which have declared results so far in October have seen very soft sequential loan growth for the quarter. Combined with relatively higher valuations and worries about earnings growth going into 2019 it should not come as a surprise, in hindsight, that large cap stocks in the banking and real estate sectors led the correction this month. The fund does not have exposure to any banks in Vietnam due to their previous historic high valuations, but some of the names are beginning to look attractive. However, the weakness in banking stocks may not be over as the State Bank of Vietnam is in no mood to allow higher loan growth quotas. Within real estate, the fund has no large cap exposure but is invested in a company which is focused on developing projects in the upcoming district of Thu Thiem in Ho Chi Minh City. The company also manages a host of toll road projects and has investments in some water utility projects. We believe this is a good diversified play on the overall growth of the country, especially Ho Chi Minh City where the company’s projects are located. The fund’s other two real estate plays are more indirect as they are industrial park operators with each of them having good locations in the North and South of the country and we expect both of them to benefit from increased foreign direct investment (FDI) into the country and especially from a protracted trade war. Quarterly results for most of the fund’s Vietnamese holdings were excellent and were led by a pump manufacturer, real estate/infrastructure developer, industrial park operator, airport operator, automotive holding company and a cargo handling company, all of which witnessed greater than 25% earnings growth in the third quarter of this year. Sentiment in Bangladesh continued to remain weak due to the upcoming elections which have been scheduled for 30th December 2018. However, earnings growth for most companies within the fund’s portfolio remained stable with growth being led by a mobile phone operator and a consumer appliance company (+20% earnings growth in 3Q18) while the fund’s bank, shoe retailer and tobacco holdings showed slower earnings growth. We expect sentiment in general to improve once the national elections are through and we believe that the fund’s holdings are well positioned to participate in any post-election rally. Pakistan saw a month-end rally after starting the month on a weak note as Saudi Arabia has committed to provide USD 6 billion in financial assistance in the form of USD 3 billion as foreign exchange support and USD 3 billion as a deferred facility for oil imports. This offers much needed relief for the Pakistani government and there are now expectations that China will also provide some form of financial support which should help stabilize the country’s macro-economic situation. The Pakistani Rupee further depreciated by 8.6% during the month as the government announced approaching the IMF for further financial assistance. 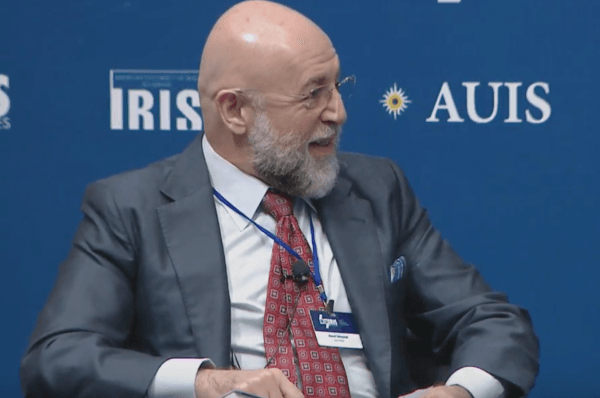 Both the currency depreciation as well as the approach to the IMF were not a surprise and a deal with the IMF is expected by the end of this year or beginning of 2019. All these moves to stabilize the economy should help improve sentiment but the immediate earnings outlook for most sectors is still negative due to the currency devaluation, though cheap valuations could provide an opportunity for us to increase our weighting to the country as we have reduced exposure significantly in 2018. In Sri Lanka, the continued differences between President Maithripala Sirisena and Prime Minister Ranil Wickremesinghe most likely reached a tipping point which led the President to leave the current coalition set up on 26th October 2018 and join hands with the former President, Mahindra Rajapaksa, who has also been subsequently named the new Prime Minister of Sri Lanka. Immediately after this decision, the President suspended parliament till 14th November 2018 most likely for the new coalition partners (Sirisena/Rajapaksa) to muster up the 113 seats required to prove majority in the house since they currently hold only 95 seats together. The now opposing Prime Minister Wickremesinghe’s United National Party (UNP) holds 106 seats in parliament and thus is closer to the 113 mark since he will most likely be able to count on the support of the Tamil National Alliance (TNA) party which holds 16 seats since this party is unlikely to support Mahinda Rajapaksa given recent historical events. Over the past two weeks the Sirisena/Rajapaksa combination have been looking for defections from the UNP to get to the 113 seat mark and they had managed around six to seven cross overs onto their side but it seems they are still short of the 113 seat mark. Therefore, it does not come as a surprise that the President has decided to dissolve parliament on 10th November 2018 and hold early elections on 5th January 2019, more than a year ahead of schedule. The constitutionality of this decision will most likely be challenged by the UNP and its supporters and political uncertainties are expected to continue over the next few weeks. Given the political stalemate over the past few years, the fund has been underweight on Sri Lanka since 2015. 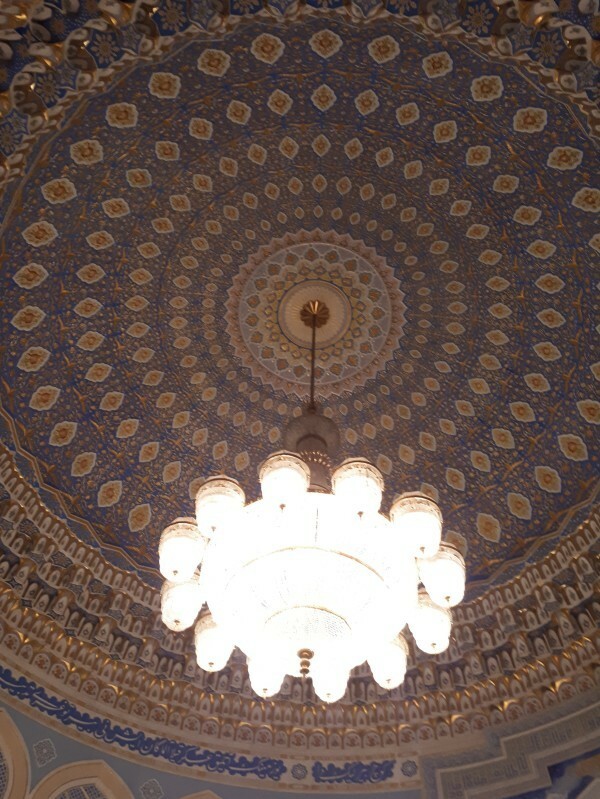 Uzbekistan aggressively continued its policy of opening up and liberalizing the economy. During October, Russia signed USD 27 billion and France USD 5 billion of investment deals with Uzbekistan. These were namely in the sectors of infrastructure, agriculture and energy. On energy specifically, Russia broke ground last month on Uzbekistan’s first nuclear reactor which is slated for completion in 2028. Inflation in the first ten months came in at 9.5%, and the government has been working hard to bring it down to the single digits for some time. This is quite an accomplishment as the government has simultaneously cancelled subsidies for bread and is raising prices of gas and electricity systematically until they cover the cost of production. In Mongolia, the Development Bank of Mongolia issued a new USD 500 million 5-year bond with a yield of 7.5%. The bond was oversubscribed 8x. As the country has successfully rebounded from its bailout by the IMF in 2017 it is encouraging to see appetite for the country’s bonds, specifically as the country remains exposed to the boom-bust nature of global commodities markets. During the month the President, Kh. 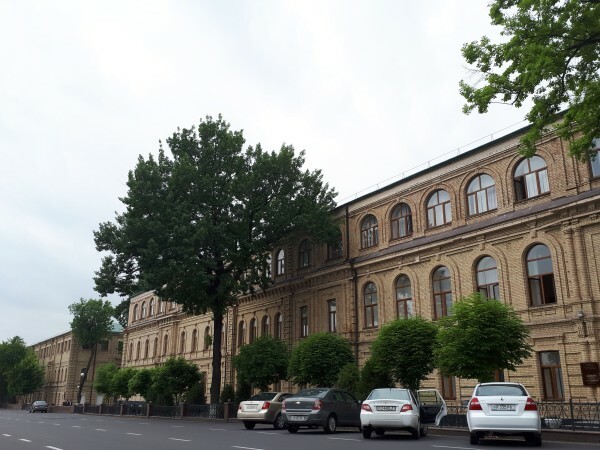 Battulga requested the Parliament to voluntarily dissolve itself after he accused it of inaction in forming sound and productive economic policies. This however is likely just political posturing for himself and his Democratic Party to regain its foothold in the 2020 Parliamentary elections, but nonetheless interesting. The best performing indexes in the AAFF universe in October were Kyrgyzstan (+3.5%), Cambodia (+2.3%), and Mongolia (+2.1%). The poorest performing markets were Vietnam (−10.1%) and Iraq (−6.1%). The top-performing portfolio stocks this month were: an edible oil producer from Uzbekistan (+16.2%), a junior oil & gas company from Papua New Guinea (+15.1%), a Mongolian cashmere producer (+14.3%), a Mongolian meat producer (+12.7%), and a Mongolian leather company (+11.6%). In October, we added to existing positions in Laos, Mongolia and Uzbekistan. We added an IT and an insurance company from Mongolia and a glass manufacturer from Uzbekistan to the portfolio, partially exited one port operator in Cambodia and four companies in Mongolia while completely exiting from a Pakistani passenger car manufacturer. As of 31st October 2018, the portfolio was invested in 116 companies, 1 fund and held 3.6% in cash. The two biggest stock positions were a pharmaceutical company in Bangladesh (6.6%) and a pump manufacturer from Vietnam (4.5%). The countries with the largest asset allocation include Vietnam (25.1%), Mongolia (19.6%), and Bangladesh (19.5%). The sectors with the largest allocations of assets are consumer goods (30.2%) and industrials (20.0%). The estimated weighted average trailing portfolio P/E ratio (only companies with profit) was 13.00x, the estimated weighted average P/B ratio was 2.35x, and the estimated portfolio dividend yield was 3.86%. 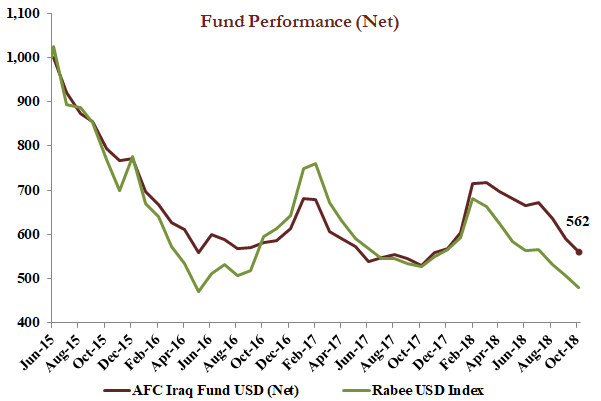 The AFC Iraq Fund Class D shares returned −4.8% in October with a NAV of USD 562.04 which is an out-performance versus its benchmark, the Rabee USD Index (RSISUSD index), which was down −5.3%. Year to date the AFC Iraq Fund Class D shares are down −0.9% versus a loss of −15.2% for the RSISUSD index. The end of the month brought with it the end of the multi-month paralysis in government as the designated prime minister was confirmed by parliament through the approval of his proposed cabinet on October 25th. However the parliament has not approved all of his ministerial choices which reflects the fragmented politics of the new parliament and a possible marker of risk for the government’s future stability. Nevertheless, the new government is in a position to implement its policies, as articulated by the prime minister in presenting his government, which are focused on the provision of security, services, and investment in much needed infrastructure. The implementation of these policies is made possible by the accumulated budget surplus for 2018, which was about USD 14.5 billion at the end of August, and on course for a two-year accumulated surplus of USD 24.5 billion by the end of 2018. Coinciding with this has been the end of the 40-day Arbaeen pilgrimage that brought the country to a standstill as millions of pilgrims took part in “the largest annual gathering of people anywhere on earth.”, including almost two million Iranian pilgrims. The end of the Arbaeen, summer, and the government formation should be followed by the end of the period of, probably, the lowest daily trading volumes on the Iraq Stock Exchange (ISX) since it first witnessed an expansion in volumes in 2010. 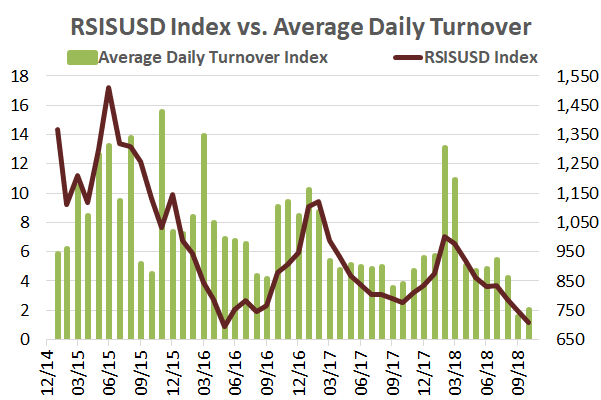 Average daily turnover in October, while higher in percentage terms than the dismal levels of September, was among the lowest for some time (chart below). In tandem the market declined and continued to test the major bottom of May 2016. 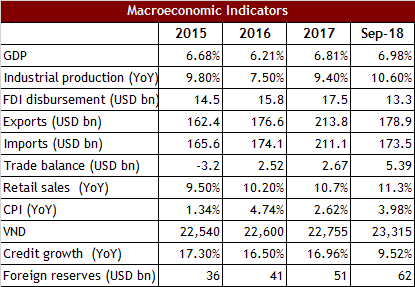 The strong improvement in the finances of the country following years of conflict lie behind the reason for the continued expectations, expressed here over the last few months, that the market would be correcting and then bottoming. 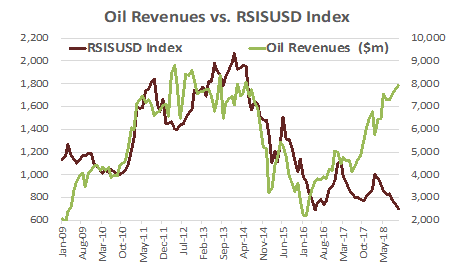 However, these expectations continued to be tested as the market sustained its dismal performance, and its divergence from its past close relationship with oil revenues is currently at the widest it has been for the last few years (see below). The end of the political paralysis, the sharply improving government finances and tentative signs of liquidity reaching the wider economy could act as the catalyst to change the direction of the market to the upside. If similar experiences in other frontier markets were to be repeated here (a big if) then the anomaly of the current low trading volumes coupled with the market’s sharp divergence from its historic association with oil revenues would suggest that the next move could be a sharp reversal of the recent trend. As of 31st October 2018, the AFC Iraq Fund was invested in 14 names and held 3.8% in cash. The fund invests in both local and foreign listed companies that have the majority of their business activities in Iraq. The markets with the largest asset allocation were Iraq (95.3%), Norway (3.7%), and the UK (1.0%). 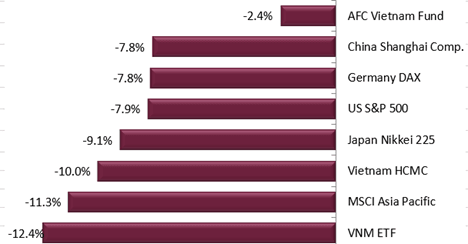 The sectors with the largest allocation of assets were financials (48.7%) and consumer staples (20.0%). The estimated trailing median portfolio P/E ratio was 12.90x, the estimated trailing weighted average P/B ratio was 0.82x, and the estimated portfolio dividend yield was 5.98%. 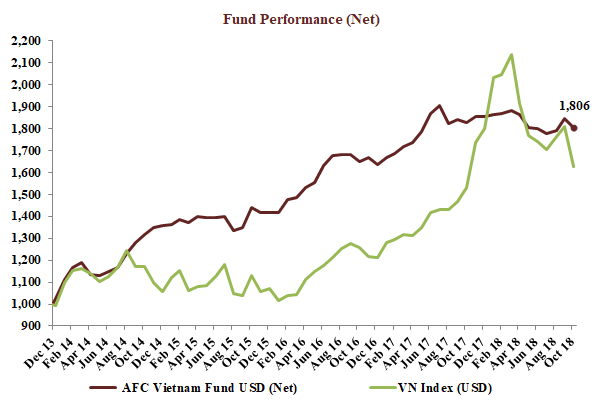 The AFC Vietnam Fund returned −2.1% in October with a NAV of USD 1,805.80, bringing the return since inception to +80.6%. This represents an annualised return of +12.9% p.a. The Ho Chi Minh City VN Index in USD lost −10.1%, while the Hanoi VH Index lost −9.5% (in USD terms). The broad diversification of the fund’s portfolio resulted in a low annualized volatility of 8.71%, a high Sharpe ratio of 1.40, and a low correlation of the fund versus the MSCI World Index USD of 0.27, all based on monthly observations. In Asia alone, USD 5 trillion in net worth has been wiped out since the beginning of the year. While experts are trying to find particular reasons why the market has tanked, the reality is simple: leading stocks in the US were simply too expensive. Funny enough, people are now getting nervous and anxious after the correction has happened. Some experts looking for value in the market are pointing to the percentage losses in many of the leading stocks, especially investor darlings such as the FANG stocks (Facebook, Amazon, Netflix, Google) which are down around 20-30% from their peak. But does this correction mean these companies are now fairly valued? The only fact we really know is that current buyers are now buying much cheaper than others only a few weeks ago. We believe that it is much more important to own stocks of companies which are able to weather this storm. So far, value stocks are holding up much better than most others and also better than most stocks in the developed world. Once again, our AFC Vietnam Fund is proving effective in its low volatility in difficult markets. Every investor should look for investments where he/she can sleep well without worrying too much and hence affecting the quality of their daily lives. Like so many times in the past, we are now seeing stock markets correcting 10-20% from their peaks and we think it is rather late to think of selling stocks which are trading at fair or cheap valuations. “Fair” or “cheap” are of course expressions which have different meanings to different investors. When a stock like Netflix loses 25% and still has a trailing P/E of around 100x (and a market cap similar to all 1,000+ stocks combined in Vietnam! ), we would probably not sleep well owning that stock as it is still up 58% this year alone. Many investors could still cash in with the stock trading at valuations 400% higher than the average listed US stock (or 1,000% higher than our fund!). Like many times in the past, the period from October to November is again very volatile, but at the same time it may be a good entry point into the market. It is always easy to listen to super bullish market commentators from “CNBC & Co.” in an uptrend and buy along with everybody else, instead of buying at more attractive valuations after a correction when “blood is on the street” as Mark Mobius, the Emerging Market veteran, just mentioned in a recent interview. Like us, Mobius again sees “value” in Emerging Markets, which makes sense, since valuations across Asian Emerging and Frontier Markets are trading at similar levels as a few years ago. It is interesting to note, when looking back at the leaders in technology stocks 10 years ago, that they have changed almost completely since then. In the future we might see stocks like Netflix still in the top ten, but in reality, it is anyone’s guess. However, if it remains a leading stock in the future it is likely to trade at a significantly lower valuation than today. More likely however is that in 10 years names like those that make up the FANG’s will not be as significant as they are today, given the fast-changing world of technology. On the other hand, we think Vietnam will grow at an impressive pace over the next 10 years. Whether the growth is at a rate of 5% or 8% on average is of secondary importance in that respect. Again, the total market cap of Vietnam today is equivalent to just one of those mega-caps! 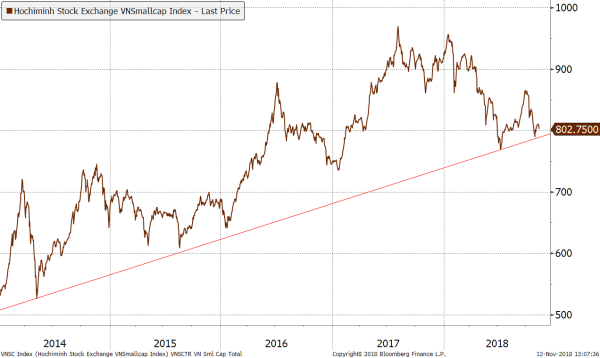 The Vietnam Small Cap Index bottomed out on 29th October 2018 above its July 2018 lows, which means it outperformed the main index which tested its July 2018 lows on 29th October 2018 before gaining strongly on the last day of the month. This is a very positive sign as the index hit its high six months earlier than the blue-chip index. One of the many reasons why we are very relaxed or even positive about the Vietnamese stock market adjustments in general is the clear macro success story of Vietnam and the positive long-term outlook for the next 10-20 years (at least). The abrupt stop of continuous money flows into bubble segments around the globe has also created some short-term distortions in value stories which also led to panic selling, but at some point, it is hard for some stocks to fall further, otherwise there would be “stocks for free”. While this may sound implausible at first, we would like to highlight a few interesting situations in our portfolio. Like everywhere in the world, stock prices in Vietnam are also adjusted for dividends or corporate actions. For example, when a dividend of VND 2,000 is paid, the stock price is adjusted on the so-called “ex-day” by those VND 2,000 and the stock starts trading VND 2,000 lower on that day. While in many western markets average dividend yields often range from 1 to 3%, in Vietnam some of our stocks yield in excess of 10%. In other words, the stock price of a company paying VND 2,000 every year and trading at VND 20,000, is just 18,000 on the ex-day when the dividend is deducted. If the price doesn’t increase in order to adjust for the future dividend payout, then the dividend yield will be 11.1%. If nothing happens over the year, the price would be adjusted to 16,000 after the next dividend and the yield would rise to 12.5%, and so on. If the fundamentals do not change, investors will have to buy at some point otherwise the stock would move towards zero and the dividend yield above 100%! We clearly do not foresee any of our stocks trading close to zero, but we see profitable companies paying dividends resulting in yields of 10-20% and/or trading at 40-60% below their book value. At the end of the day when the dust settles again, investors will pay at least the intrinsic value of those companies and in the meantime, we are getting paid juicy dividends, although it does not automatically mean it increases the NAV of our fund because of the price adjustment calculation explained above. But of course, it makes our stocks cheaper and more attractive for investors for even higher future gains. In October, the European Commission adopted the EU-Vietnam FTA in order to promote trade and investment between Vietnam and Eurozone countries. This agreement will come into effect in early 2019 and more than 85% of tariffs on Vietnamese goods exported to the EU will be removed immediately and eventually 99% will be removed by 2026. On the other hand, around 49% of tariffs on EU exported goods to Vietnam will be eliminated and by 2029 all tariffs will be removed. The EU is one of the most important trading partners of Vietnam. In 2010, total exports to the EU were only USD 11.4 billion, but increased more than 3 times to USD 38.3 billion by 2017, equivalent to a gain of 18.9% per annum. This trade agreement is another important milestone for Vietnam’s economy and should further boost GDP growth and FDI (Foreign Direct Investments) over the coming years. In addition, it is very likely that Vietnam will be one of the major beneficiaries of the current trade war between the USA and China. The trade war positions Vietnam as the second global manufacturing hub after China. In the last few weeks we have seen lot of production shifting from China to Vietnam, such as the prominent Apple AirPod supplier, Goertek, which intends to move production of the wireless earphones to Vietnam. In 2017, mobile phone exports to the EU amounted to USD 11.8 billion, equivalent to 30.7% of total exports to the EU, followed by shoes (USD 4.6 billion), computers (USD 4.1 billion), textiles (USD 3.7 billion), machinery (USD 1.7 billion), seafood (USD 1.42 billion) and coffee (USD 1.36 billion). This is also reflected in the recently published World Bank globalization report. 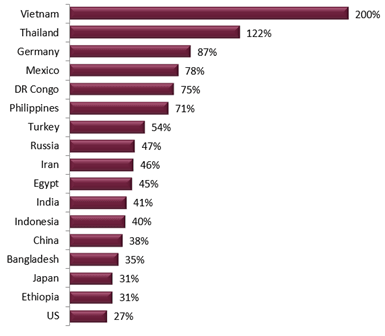 According to this report, Vietnam’s population is the most globalized in modern history. In 2017, Vietnam’s trade as a percentage of GDP reached over 200%, which is the highest level for any country with over 50 million people. Countries with high measures are typically rich and small, such as Hong Kong, Singapore and Luxembourg, which all have rates of over 300%, but as a large, poor country, Vietnam is definitely an outlier. Exports grew by 14.2% year on year to USD 200.3 billion and the trade surplus reached a record high of USD 6.43 billion year to date. Trade surplus reached a record high of USD 6.43 billion year to date. At the end of October 2018, the fund’s largest positions were: Agriculture Bank Insurance JSC (4.0%) – an insurance company, Sametel Corporation (3.1%) – a manufacturer of electrical and telecom equipment, Vietnam Container Shipping JSC (2.8%) – a container port management company, TanCang Logistics and Stevedoring JSC (2.2%) – a logistics company, and Cantho Pesticides JSC (2.1%) – a manufacturer of agricultural chemicals. The portfolio was invested in 69 names and held 4.5% in cash. The sectors with the largest allocation of assets were industrials (32.6%) and consumer goods (29.9%). The fund’s estimated weighted average trailing P/E ratio was 9.34x, the estimated weighted average P/B ratio was 1.48x and the estimated portfolio dividend yield was 7.54%. 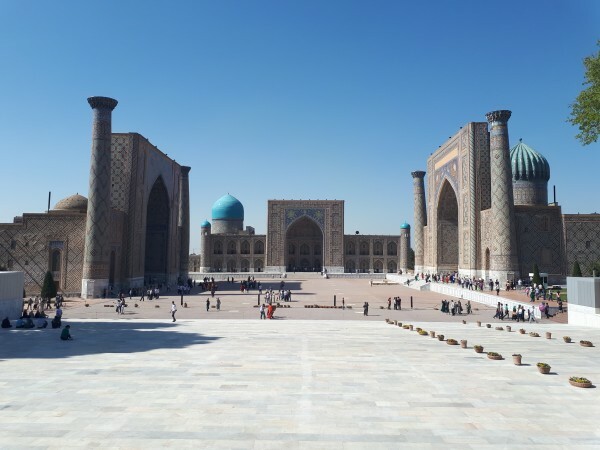 In line with our process of being on the ground in the countries we invest in, Regional Analyst Scott Osheroff recently travelled to Uzbekistan in order to meet with management of portfolio and shortlisted companies for a future AFC Uzbekistan Fund. All photos are by Asia Frontier Capital. It is a place where you can buy assets at generationally attractive valuations; where many companies are growing earnings well in excess of 100%, equity at over 20%, trading at fractions of book value and in some cases at less than 2x price-to-earnings. It is a country under construction, waking up from its decades-long slumber. Flying into Islam Kamirov Airport in Tashkent, the capital of Uzbekistan, from Kyrgyzstan I wasn’t quite sure what to expect. John Enos, who wrote about his experience in our August 2016 Newsletter, told me that upon arrival he was questioned by the local authorities and it ended up taking 2 hours to exit the airport. I learned this was the norm for locals and foreigners under the previous regime which ended in 2016 and I was therefore very pleased that when I arrived that there was no immigration form to fill out and I was out of the newly built airport terminal in five minutes. Something had clearly changed! The change began during the final years of the previous regime, led by Islam Kamirov, who ruled the country from 1989 to 2016, but when he passed away on 2nd September 2016, the economic transformation kicked into high gear. His successor, Prime Minister Shavkat Mirziyoyev, was clearly sitting in wait for such a day when he could take the presidency and reform Uzbekistan into a free-market economy, bringing prosperity to its 33 million people, with a median age of only 28.6 years. Since coming into office a few of the more notable changes President Mirziyoyev has made include: floating the currency (where the black market rate used to be 2x the official rate), re-establishing friendly/diplomatic relationships with Uzbekistan’s neighbours, Kyrgyzstan and Tajikistan, removing some capital controls and working on a complete removal in the near future, creating an E-visa system for 101 countries (when I visited, it cost USD 195 and took 5 days in Bangkok for my visa to be issued. Now it costs only USD 20 and takes maximum 3 days when applied for online), privatization of all non-core assets/enterprises (pretty much everything except some of the natural resource companies) and reforming the country’s tax code in a push to make it the most competitive in the region (12% corporate profit tax, 5% dividend tax), as well as the drafting of legislation to privatize land nationwide. Having lived in Mongolia, Vietnam, Cambodia and Myanmar the past 7½ years I am used to less than perfect infrastructure, chaotic traffic and a desire to escape every so often to the confines of Singapore where things just “work”. However, departing the airport for downtown Tashkent, I was stunned to see that the city is, at least in my opinion, the best capital city in frontier/developing Asia. There is minimal pollution, everyone follows the traffic laws, there are no potholes on the main roads which are on average 3 to 5 lanes wide in each direction, and the buildings are remarkably well maintained. Not to mention, electricity is mostly reliable and costs only USD 0.03/Kwh. I was told this wasn’t the case just five years ago, but the government has made significant efforts to improve the city and infrastructure. Later in my journey I learned that this is not only the case for Tashkent, but for all of the second-tier cities I visited. There are many attractive aspects I uncovered when reading up on Uzbekistan’s economy. While the micro story with the companies I met (discussed below) is remarkable, the macro story is just as interesting. With a GDP of nearly USD 32 billion and GDP per capita of approximately USD 960, the country has USD 16 billion in external debt and USD 27 billion in foreign exchange reserves. The high foreign exchange reserves are due to aggressive import substitution efforts over the past two decades and the country’s gold reserves (world’s 9th largest gold producer) and being the 6th largest cotton producer, among other resources. 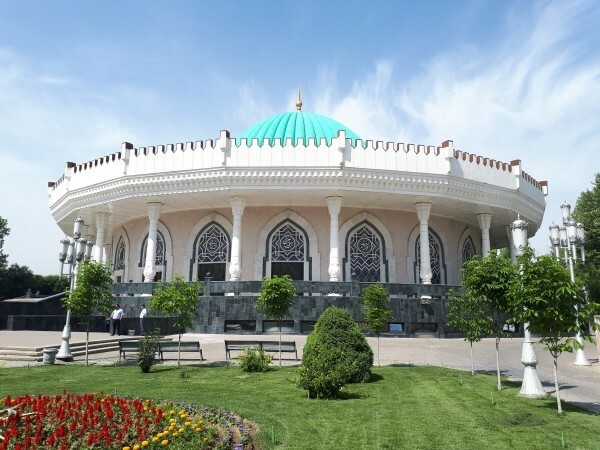 With foreign exchange reserves representing 84% of GDP and providing nearly 2 years of import cover, Uzbekistan certainly has one of the most fiscally sound economies in Asia. Moving onto some of my meetings, my first meeting was with the CEO of the Tashkent Stock Exchange. Founded in 1994, the exchange currently hosts 131 listed companies with a total market capitalization of USD 2.3 billion. Most of these companies were fully or partially privatized throughout the 1990’s and 2000’s, as part of the voucher system typical of most post-Soviet privatizations. The exchange is 25% owned by the Korean Stock Exchange and also has an agreement with the Georgian Stock Exchange which, in time, should help to add much needed liquidity, as well as see more companies conduct both secondary offerings and IPO’s. However, liquidity and turnover are already increasing via both local and foreign participation. During the first 9 months of 2018, turnover at the exchange grew 492% year-on-year. At present, a majority of the market capitalization of the stock exchange is comprised of banks. Foreign investors however are not yet permitted to invest in banks without approval from the Central Bank. Under the previous regime approval was never granted, though as the banking sector is now growing on average 30-40% per year banks are required to increase their capital. Due to the increasingly large nature of these increases in capital, the banks are now seeking foreign investment, which is now welcomed. The most recent investment of a foreign institution into a local bank was on 2nd November 2018 when responsAbility Investments AG from Switzerland purchased a 7.66% stake in Hamkor Bank, one of the nation’s leading private banks. The first IPO in the country’s history was a state-owned glass producer on 11th April. The company is the largest producer of glass bottles and construction glass in the country, with a monopoly on the latter. They are currently undergoing a significant capacity expansion as the company has been operating at over a 120% utilization rate for the past four years. At present, the company has a dividend yield of over 18%. Next, I met with an insurance company which mainly serves corporate clients, but is expanding into B2C. With premiums to GDP in Uzbekistan at less than 4% and growing at 30-40% per year, there is significant room for growth. The company is well managed and has a low claims ratio relative to its peers. However, while the insurance business itself is attractive, the most intriguing aspect of their business was their investment portfolio. They own a blend of equity and real estate investments, though just one of the buildings in their portfolio is worth more than the entire market capitalization of the company! 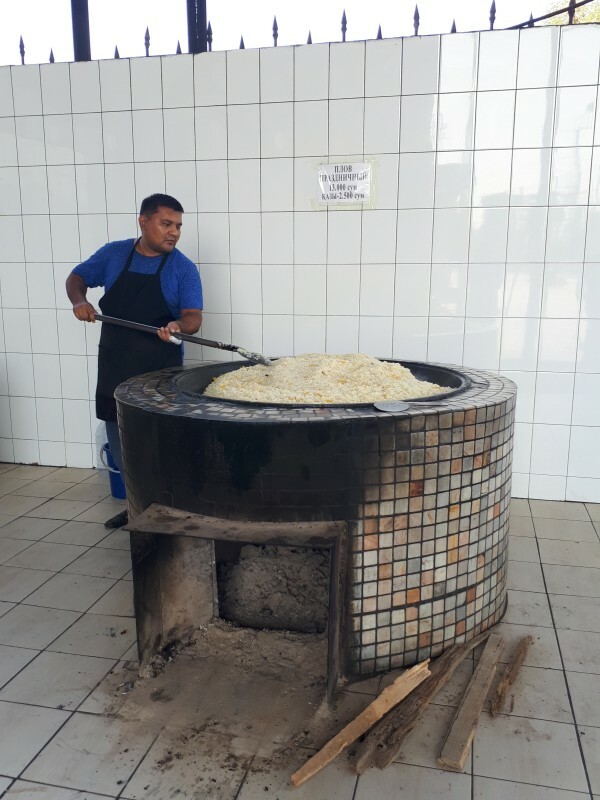 That afternoon, for lunch, I went to enjoy Uzbekistan’s national dish "plov" which is a rice pilaf dish cooked with yellow carrots, chickpeas, raisins and either beef, lamb or horse meat. Plov comes in an unlimited number of varieties depending on the region you are in and what the occasion is. At the plov center located next to a Soviet-era television antenna in Tashkent, we dug into a heaping portion of plov with horse meat and a side tomato and cucumber salad, called achick-chuck, which helps to balance out the heft of the plov. A small kettle of plov being prepared. After lunch, where I felt I had gained two kilograms, I wanted to see the famous metro system, which until 2011, when a metro opened in Almaty, Kazakhstan, was the only metro system in Central Asia. 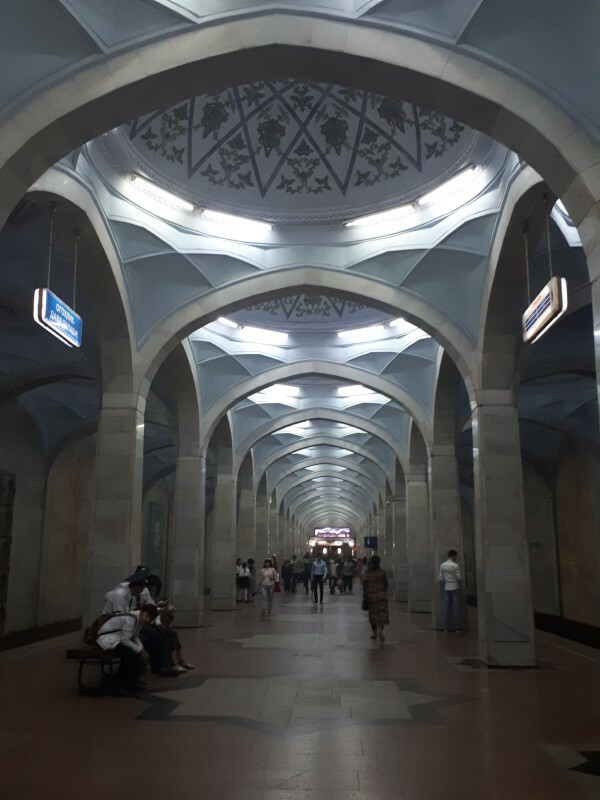 The Tashkent metro is well known for its ornate stations and until February 2018 it was illegal to take photos as the metro was considered a “strategic” asset. 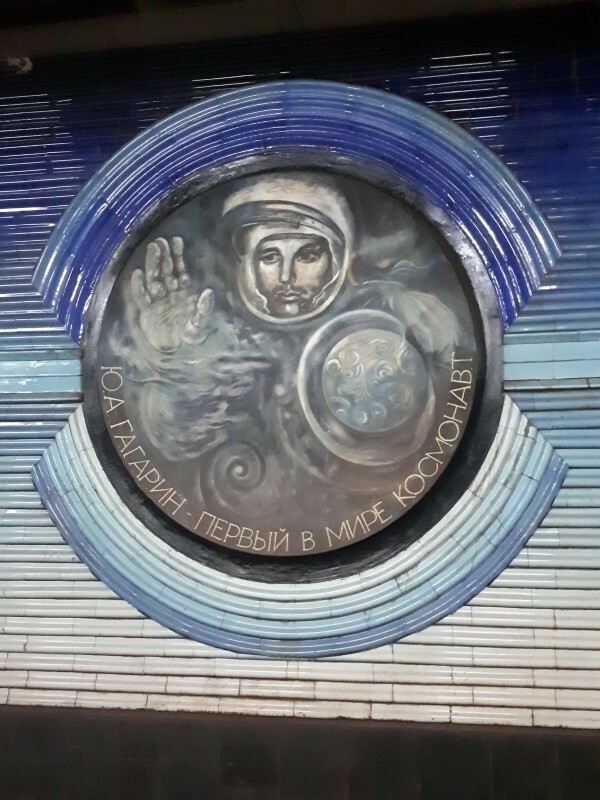 Seizing the opportunity, I took the metro to the cosmonaut station which is full of mosaics of famous Soviet cosmonauts. The next day I met with one of several listed cement companies. As mentioned earlier, the country is one big construction site. In Tashkent, thousands of apartments and several malls and business centers are rising like mushrooms, something that was mirrored in all of the second-tier cities I visited, with plenty of accompanying billboards to advertise the projects of course. The past five years is the first real construction boom the country has seen since Soviet times and with a rapidly growing population, the cement industry is an exciting space. Further, the government has designated an 80-hectare site in the centre of Tashkent to become the new CBD and high-end part of the city, dubbed “Tashkent City,” which is a massive consumer of cement. 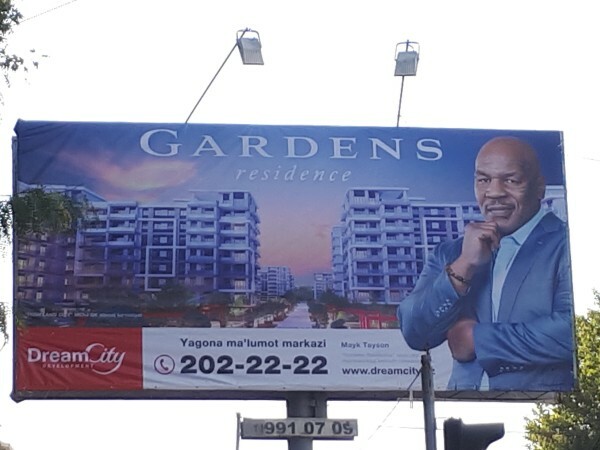 In the Garden’s Residence Mike Tyson could be your neighbour! With domestic cement production estimated at 9 million tons and demand at 13 million tons this year, Uzbekistan is a net importer of Iranian, Kazakh, Kyrgyz and Tajik cement. The company I met was running at 100% capacity and has plans to invest into new production capacity to keep up with demand. For 2018, cement and clinker import duties are 0%, but starting from 1st January 2019 duties will range from 10-20% ensuring local producers continue to benefit greatly from the ongoing construction boom and don’t face much competition from producers in neighbouring counties. My final meeting for the trip was with the commodities exchange. The commodities exchange trades over 2,000 goods including cotton, cement, wheat, etc. Part of the government’s bid to rid the procurement of goods for state-owned enterprises of corruption, the president signed a decree requiring all state procurement to be done through the commodities exchange. The booming economy has seen volumes on the exchange surge over 100% year-on-year and profitability to increase by 140%. While the growth is certainly impressive I was surprised that all of the current trading is based on real demand. There are currently no derivatives, forward contracts, etc. This means that in the next few years, once they introduce leverage/financial speculation into the system, volumes will likely surge even higher, especially as the exchange is establishing trading links with several CIS countries providing future arbitrage opportunities for speculators. A trip to Uzbekistan wouldn’t be complete without visiting some of the historic cities along the old silk road. 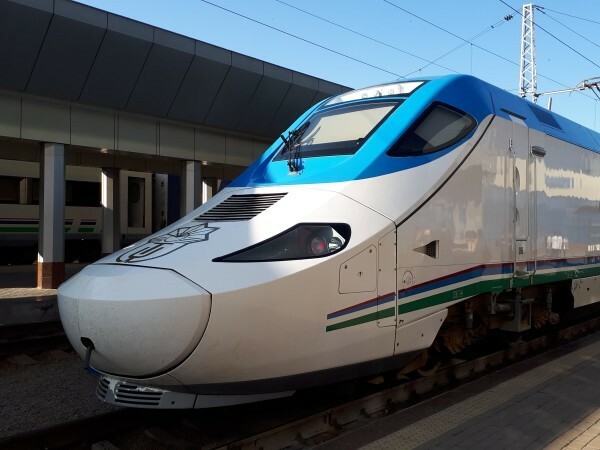 Therefore, I took the opportunity to visit Samarkand, two hours away from Tashkent on the Spanish-built bullet train, whose top speed is 220kph and cost me just USD 17 round trip! Wandering through the old city of Samarkand it was easy to see how in several years there will be millions of tourists flocking there. Luckily though, for the time being it remains largely untouched by the throes of tourists one would experience in Thailand and Cambodia, as well as by foreign chains in the historic cities. However, this year KFC, Gloria Jeans Coffee, Wendy’s, Baskin Robbins, Paul’s Bakery and Dunkin’ Donuts have all entered the Uzbek market with at least one location in Tashkent. The tourism industry is currently in its infancy, but growing fast. In 1H 2018 tourist arrivals surged 91.6% to 2.69 million and considering that Uzbekistan was rated the 5th safest country in the world based on the Gallup's Law and Order Index of 2017, the country has a bright future ahead. Foreign investors are yet to widely participate in the stock exchange, and the broader economy for that matter, and we are excited to be first movers, expecting significant and rapid revaluation of our holdings in the near future. As Uzbekistan continues to carry out reforms we foresee it potentially emerging as a regional manufacturing and agro-industrial hub, playing an integral role in China’s One-Belt-One-Road initiative. Based on the opportunity we have identified (and already built exposure to) in Uzbekistan through our AFC Asia Frontier Fund, we are considering the formation of a potential Uzbekistan/Central Asian investment vehicle in the near future. Please contact us if you have an interest in learning more about this potential investment vehicle. AFC Asia Frontier Fund is registered for sale to qualified /professional investors in Japan, Singapore, Switzerland, the United Kingdom, and the United States. AFC Asia Frontier Fund (Lux) is authorized for distribution to Professional Investors and ‘Well-Informed Investors’ in Finland, Germany, Luxembourg, and Sweden. AFC Iraq Fund in Singapore, Switzerland, the United Kingdom, and the United States. AFC Vietnam Fund in Japan, Singapore, Switzerland, and the United Kingdom.